Purchasing the tools and equipment to compete in the 4th industrial revolution can be costly and unachievable but there are alternatives. 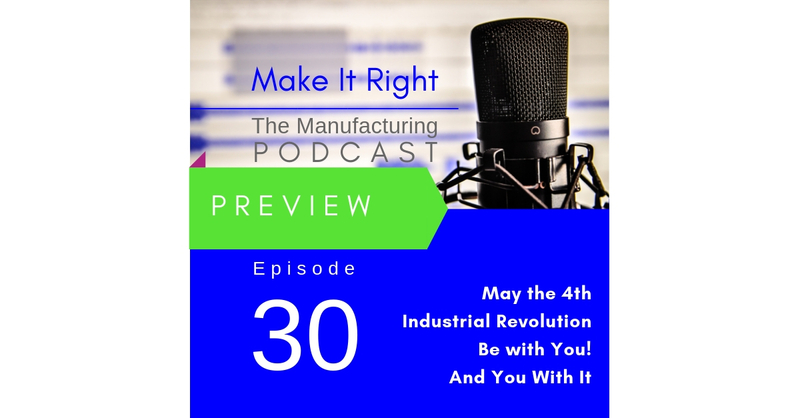 Coming up this week on the Make It Right podcast Greg Thomas, Managing Director at 375 Park Associates shares more proven alternative solutions to help you compete and succeed in the 4th industrial revolution. Full show coming Friday!